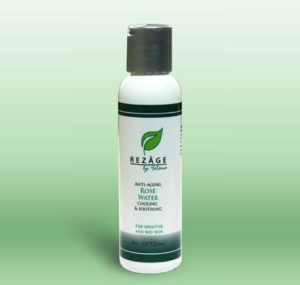 Our Rose Water is a toner designed for more sensitive, irritated skin. Soothing, cooling and refreshing, we guarantee you’ll love this toner! After washing your face with one of our cleansers, apply a small amount of ginger water onto a cotton disk or swab and gently wipe your face and neck area. Now your face is nice and prepped for one of moisturizers, appropriate for your skin type. After washing your face with one of our cleansers, apply a small amount of ginger water onto a cotton disk or swab and gently wipe your face and neck area. Use both in the morning and at night before applying any moisturizers. Stop usage if any irritation develops. Keep out of reach of children.